It’s November 6th and I’m working on my fourth NaNoWriMo novel. This year my project is the 4th book of my Funeral Singer series. Two previous novels in it were written during NaNo. 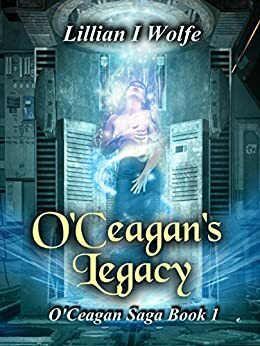 Last year’s novel is in the O’Ceagan’s Legacy series, and sadly, it is still in the edit pile along with Dew Dropping Hour. I tend to impose deadlines on myself and right now, completing the Funeral Singer series is right at the top of my list. There will be one more book in the series to bring it to five total. But more about that later. In this post, I want to toss out my top 7 methods to surge past the infamous writer’s block. I actually compiled these for the most recent High Sierra Writers’ newsletter, so if you’re already seen them, then move along. There’s really no such thing as writer’s block, you know. You just have to do it. And there are some techniques that work for me. If you’re stuck trying to write something, give them a try and see if they won’t help you past the road block. However, the writer’s block at the top of the page can be a serious hindrance. 2. Move around: Get up, take a walk, or do something physical for about 15 minutes. Your brain may just need a break. Put on some music and dance or exercise. Sometimes this includes getting up and feeding the cat. 6. Turn off your inner editor: Easier said than done, but seriously, editing uses a different part of the brain and stifles creativity. Let your creative side go and just write. I only heard about NaNoWriMo, the big writer challenge where authors attempt to write a 50,000 word novel in one month, about two years ago when a friend of mine did it. Then over the summer, during one of the writing classes I took, the subject came up again. While talking about it, I began mulling over the idea of joining in this November. NaNoWriMo is a condensed form of National November Writers Month and is a widely spread campaign to encourage writing. For the most part, I don’t produce a lot of words a day. If I did, that novel would be getting completed much sooner than it is. I am also not a consistent writer, so I thought that maybe, just maybe, this challenge might lead me to form a better writing habit. And if I succeed, the next novel I have in mind will be completed in first draft form. If you do the math on this, the challenge is to write an average of 1,667 words a day, give or take. It really doesn’t sound like much until you sit down to write and those words take a while to add up. One of my biggest hurdles is turning off the self-editor when I write. I can spend more time deciding which word I want to use than actually writing a paragraph of story. Those word choices, action changes and other items that take a good story to a great (or at least better) story can wait until the editing phase, but it’s hard to tell myself that when I’m writing. And re-reading what is already written will also trigger the self-editor and waste more time plus stifle the creativity somewhat. At least, it does with me. So I am gathering information and tips, and I have an online seminar on the subject coming up later this month, to help me form a battle plan to achieve my goal. A terrific resource, I think, is our local NaNoWriMo group that is scheduling group writes where we can meet with other writers, chat a bit and write like crazy for three hours. We’ll see how that goes. And I’ll report back here on my activities leading up to the write-a-thon as well the various writing events that occur during the month. Of course, in the middle of all of this writing in November is the Reno Comic Con, so I’ll have to come up with a strategy to get the writing in on those three days of convention-going. Sleep? Who needs sleep? !